The much-celebrated Sasquatch Game Studio (Richard Baker, Stephen Schubert, David Noonan – all veterans of d20-driven materials) is on deck to product third-party materials for the new 5th Edition D&D. 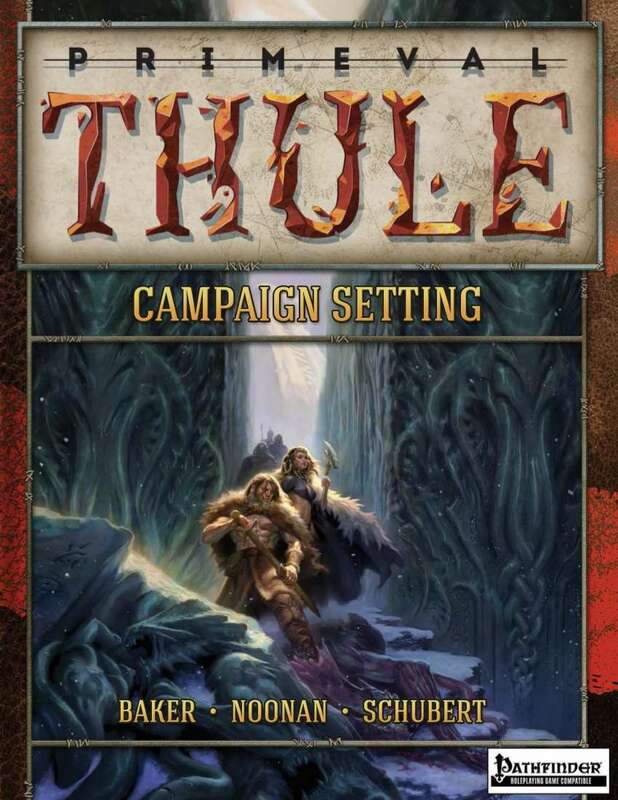 “Welcome to Thule, a primordial land of fierce barbarians, elder horrors, and savage wilderness. In this ancient age, humankind is a young race, newly arisen on a monster-haunted Earth. Cities of cruel spledor lie scattered across the great lands of the north like a handful of gems strewn from a dead thief’s hand. Time to get your sword-and-sorcery on.